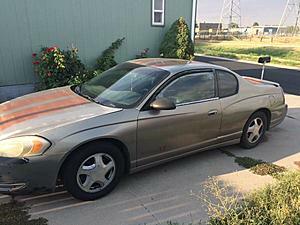 Are 2000-2005 Monte parts interchangeable with 2006-2007? Considering that the 06+ headlights are a different size and shape and won't fit into the corresponding space on your car, your first step is to find different headlights, unless you want to change out your entire front end. Personally, I think that's a bad idea. You can simply look at some of the body panels and accessories (like the headlights) and tell by the shapes they won't interchange. Here is some body who did it once an 02 with an 06/07 front. If you can find an 08 monte door, buy the whole car............ that's a 1 of a kind. majority of the body things can work on our 7th gen monty carlos but the front seats cant. what I mean is the wires for the front seat air bag sensors can not work. the hook up is different than what we have I have been looking into seeing what is needed. the frame work actually does work but not the electrical connectors. 5th gen ls body parts, interchangeable with z34 ss? 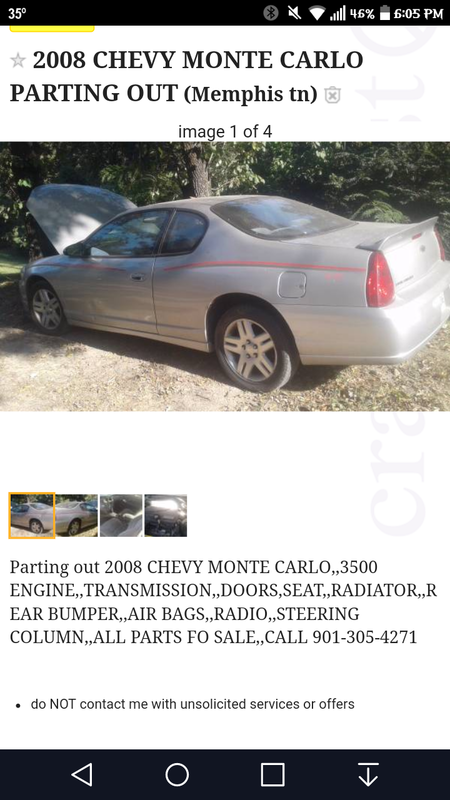 Quick Reply: Are 2000-2005 Monte parts interchangeable with 2006-2007?